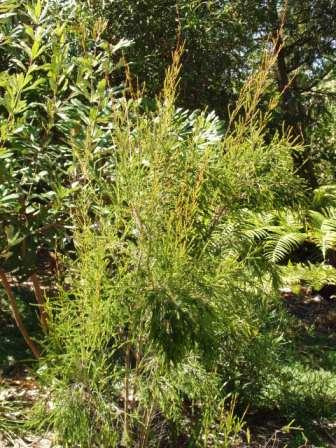 Handsome shrub with very small bright green scented leaves and yellow flowers late winter-spring. Doesn't like heavy clay soils but otherwise grows in most soils and situations. Grown commercially for cut flowers. Makes an excellent screen or hedge if kept pruned. Can be grown as a slender tree in narrow areas. Propagation Information: Seed germinates readily. Also grown by cuttings.